The Chief Public Prosecutor’s Office in the Kurdish-dominated southeastern Turkey's Diyarbakir demanded a jail term of 230 years for Gultan Kisanak, who was a co-mayor of the city, local media reported Tuesday. ANKARA (Sputnik) — On October 26, Turkish police detained Kisanak along with her co-mayor Firat Anli, accusing them of being members of the Kurdistan Workers' Party (PKK). The prosecutors accused Kisanak of terrorism and demanded a prison term of more than two centuries, the NTV broadcaster reported citing the prosecutor's office. On September 11, the Turkish Interior Ministry announced it had fired 28 provincial administrators and district governors for having links to the PKK and opposition cleric Fethullah Gulen. 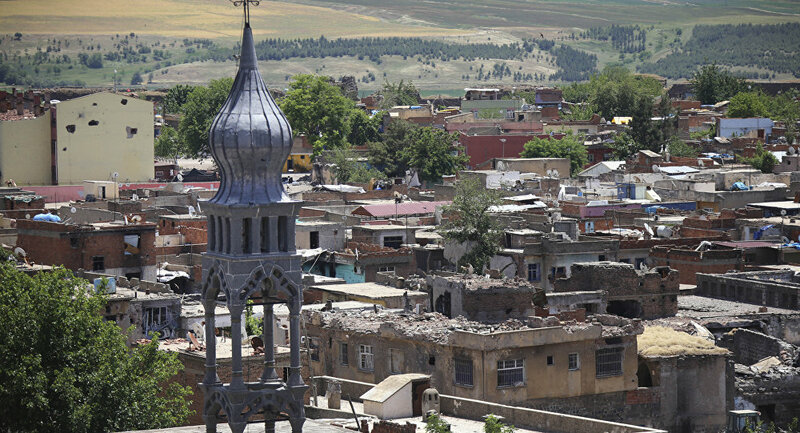 The move was followed by clashes in the southeastern Turkey.